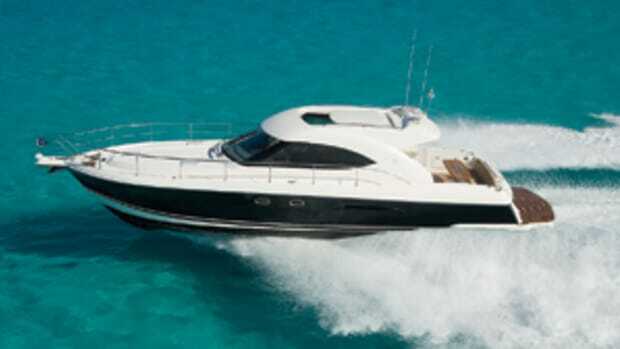 Just five years ago Aicon made a big splash with its debut model, a 56-foot, flying-bridge cruiser. 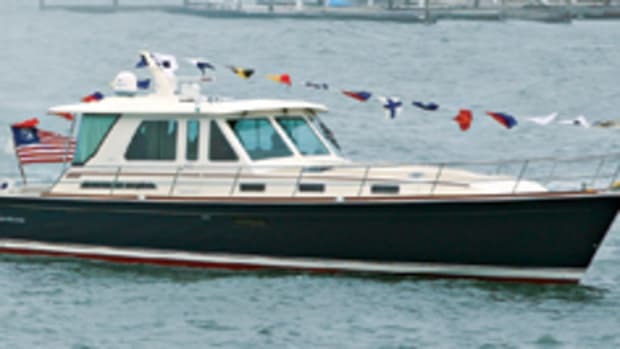 Well-received at the 2001 Genoa boat show, the 56 was named “International Boat of the Year” at the 2002 Cannes boat show in France and helped establish the Italian yard as a promising new builder in a competitive field. 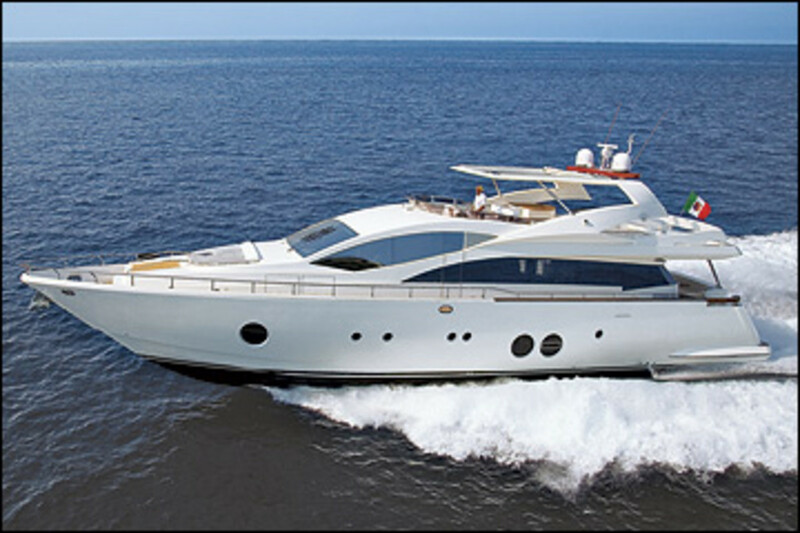 Aicon hopes the accolades will continue with its new flagship, the 85. 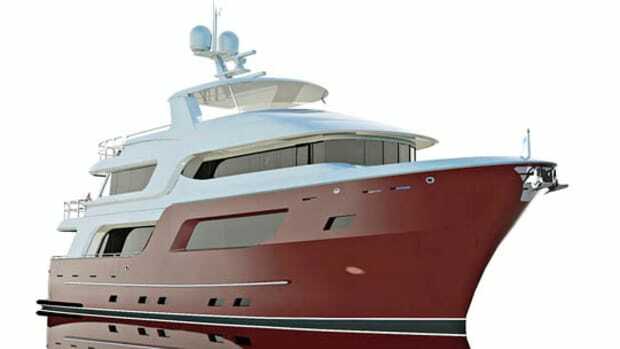 Built in Sicily at the company’s Villafranca Tirrena facility, she retains design cues seen on the 72-footer, such as the pair of large, raked side windows. Also note the three large Nemo hatches in her hull sides that open to bring in ocean breezes as well as light. 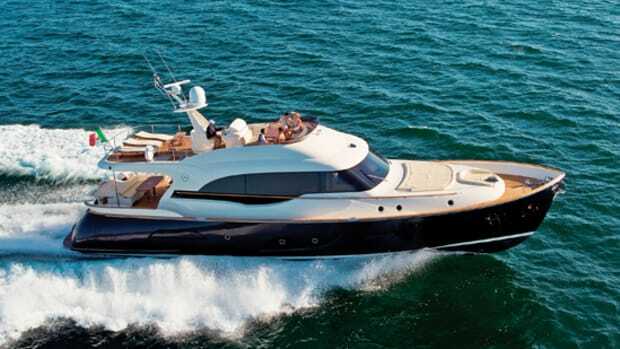 The 85’s expansive, teak-sole flying bridge is an alfresco tour de force. 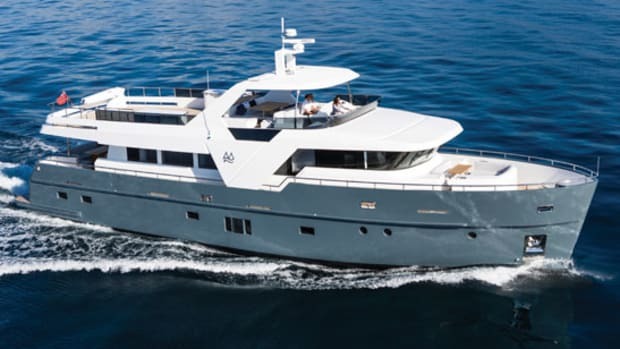 An electrically activated canvas top covers the area just aft of the helm, where there is seating for several guests on an L-shape settee and a wet bar with standard barbecue, ice maker, and refrigerator/ freezer. With the top closed, it’s an ideal shady spot. Guests who choose to bask in the sun can catch some rays at a settee to starboard of the helm or stretch out on the sunpad abaft of the seating area. Adjacent to the sunpad is a standard Jacuzzi tub for four, and farther aft, there’s space for a dinghy up to 16 feet, complete with standard davit. 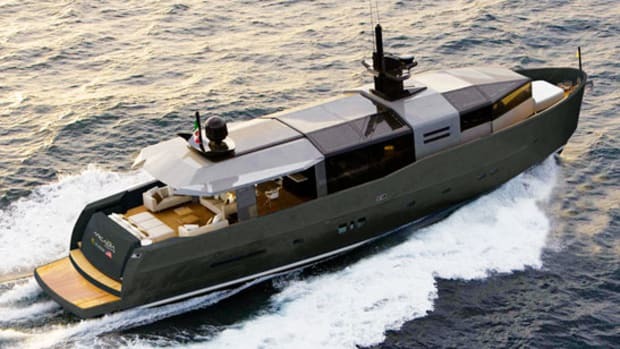 Before building boats, Aicon provided furnishings for top European boatbuilders, and it showed in previous builds. 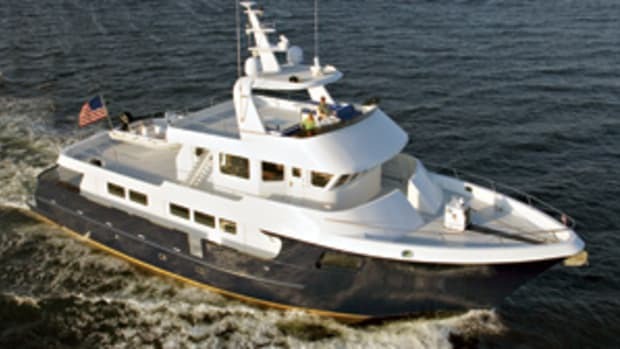 Expect the same artisan-grade cherry (oak and other woods are available) in the 85’s saloon, full-beam aft master stateroom, forepeak VIP, and two guest staterooms, all served by en suite heads with showers. Also expect the same stringent construction standards on the 85 that apply to the rest of the Aicon fleet. 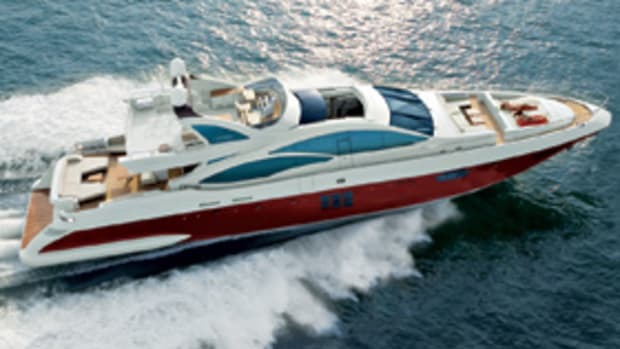 Besides being RINA Class-A-certified, the yacht is a three-piece boat: solid-fiberglass hull reinforced by PVC foam-cored stringers, transversals, deck, and superstructure. According to Aicon, standard 1,825-hp Caterpillar ACERT diesels will allow the 85 to cruise at just over 30 mph and top out at 37 mph. Pricing was not available at presstime.